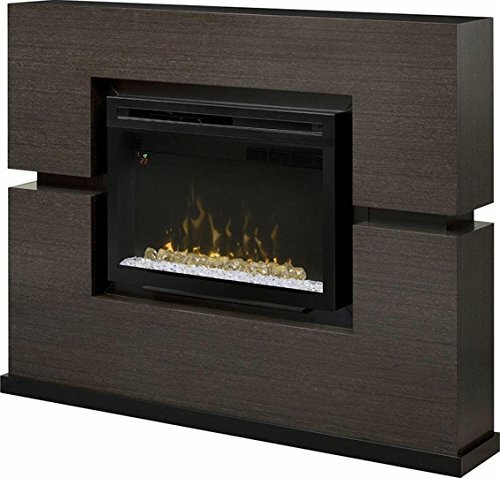 This outstanding mantel design lends itself to the striking Grey Rift veneer finish. The patented Dimplex flame effect adds the final touch. 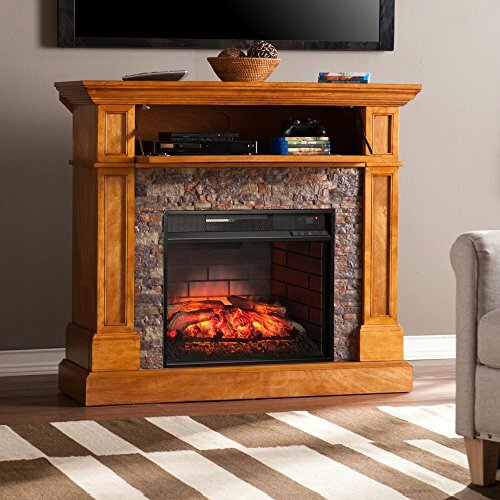 This mantel makes a dramatic remark. 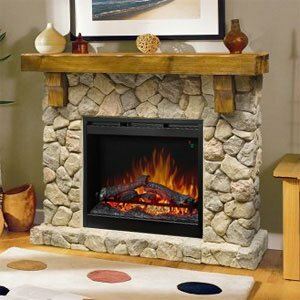 The mantel is one-piece construction and requires no assembly. 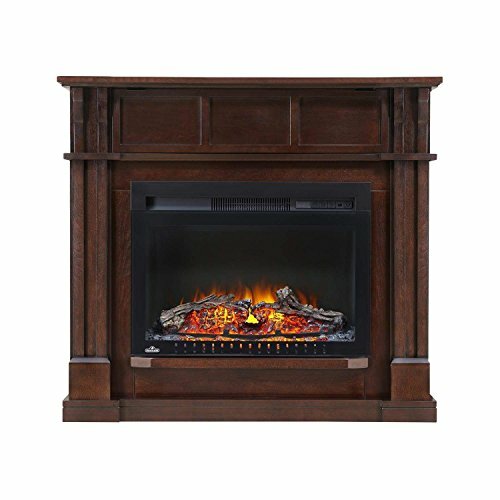 Features: Convenient remote regulate for ease of use at your fingertips; Enjoy the ambiance of the flame without or with the heater for year-round enjoyment; Front glass stays cool, protected to touch; No harmful particulates or emissions and 100% efficient; Produces 90% less carbon dioxide than an average direct vent gas fireplace; Sets up in minutes with step by step assembly instructions; Patented Dimplex LED flame technology creates the illusion of a true fire; Tumbled glass ember bed for a up to date alluring effect; Powerful fan-forced heater designed to keep the rooms you spend the most time in warm and comfortable; Features a thermostat controlled fan forced heater to make sure consistent comfort; Remote regulate included; Adjustable flame and temperature; Manufacturer’s warranty: 1 Year. 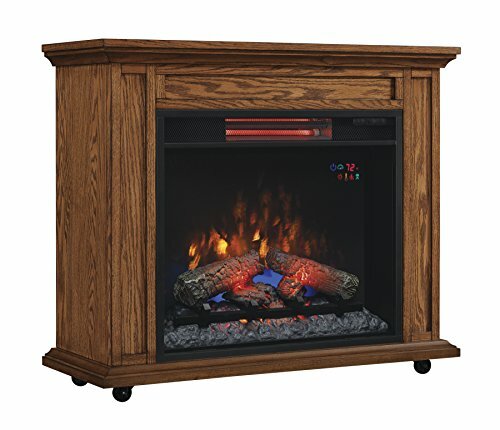 Specifications: Overall Dimensions: 50″ H x 65.5″ W x 11″ D; Product Weight: 165.4 lbs; BTU Output: 5118; Space Heating Capacity: 400 Sq. Ft.; Voltage: 120 V; Wattage: 1500 W.